Company Overview - Anhui Imp. & Exp. Co., Ltd.
16YRSAnhui Imp. & Exp. 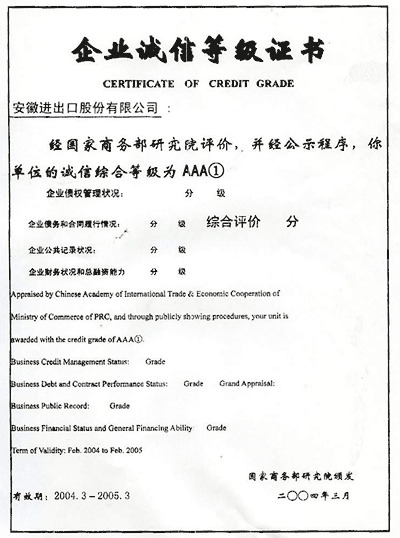 Co., Ltd.
Anhui Imp. & Exp. Co., Ltd is a comprehensive state-owned holding foreign trade enterprise, covering the fields of industry, trade, real estate, travel, consulting service and warehouse. Being one of the six import and export commerce chamber members, our annual turnover nearly adds up to USD200,000,000 and has been listed as one of the 500 largest foreign trade companies by the Ministry of Foreign Trade And Economic Cooperation of PRC for many years in succession since 1989. We have already established stable trade relationship with the customers from over 100 countries and regions. Moreover handy stationery, sports goods and natural toys of our brands have enjoyed high popularity in the world. 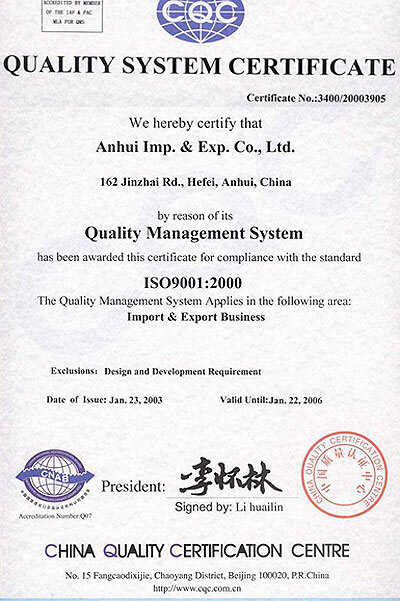 In order to strengthen management and improve service quality, we have gained approval of ISO9001-2000 quality system certification. Our service principle is star service, absolute sincerity and perfection.If you are interested in any of our series, please either take a look at our website or contact us for details. We are looking forward to establishing cooperative relationships with you in the near future. 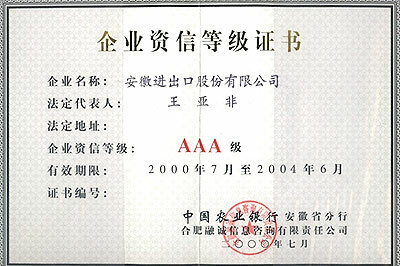 Issued by Anhui Branch of China Agriculture Bank, Chengrong Info. Consultation Co., Ltd.